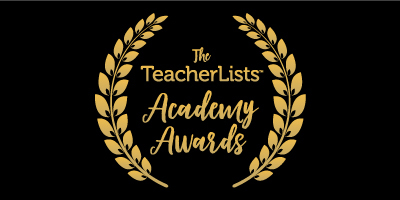 The TeacherLists Academy Awards have evolved with the passage of time. The amazing pool of eligible schools has increased and new recognition categories have emerged. Still, we stay true to our mission of recognizing schools that work hard to make sure their students have what they need to succeed. Not unlike the annual Academy Award judges, we’re suckers for lists that clean up well and can strut their stuff out on the Web! Without further ado (cue the confetti), we give you the 2018 TeacherLists Oscars. Calvary Christian School, Chattanooga, Tenn. This school is second to none when it comes to the hype it built over their school supply lists. Calvary Christian School obviously doesn’t buy the adage “If you build it, they will come”—they sent up flares in the form of Facebook shares to lead their parents to the lists. The net effect of their determination and utterly unstoppable outreach has left us awestruck. Long Lake Elementary, Traverse City, Mich. This feel-good list reveals the largely untold way that supply lists can help midyear: for restocking or special holiday activities. Long Lake Elementary’s holiday list is a heartwarming success. It’s like a school supply version of Love Actually: It has pretty much the most satisfying ending anyone could hope for. Waterloo Elementary School, Columbia, Md. Waterloo Elementary parents delivered an outstanding performance in their supporting role. Their story is a vital portrait of how success comes from a wish list and amazing parents. Serrania Charter, Woodland Hills, Calif.
Concord Elementary is so very proud of this honor but they couldn’t have reached this height without support from a great retail partner, Target. Charter would like to thank them for always being there with the school supplies parents needed. They look forward to many more future collaborations. Two different stories are told in the tale of Roberts Elementary’s success. The initial compelling story involves a charming school in Suwanee, Ga., searching for a way to communicate back-to-school needs with their school families. Contrasted with this is the story of retail giant, Walmart, looking to connect with local families and schools to help them find the supplies they need to make their year a success. With a common goal, they connect online through a link that allows every family at Roberts Elementary to easily select, shop for, and receive the perfect supplies for the first day of school. It’s a “meet cute” if we’ve ever seen one. This one is an obvious choice and would surely win a popularity contest. There were so many people queuing up to check out Harmony School’s lists that if it wasn’t online there would be a line across town. It seems that everybody needed a little harmony supply lists in their life this year. Santa Fe Independent School District, Santa Fe, N.M. This is a gripping tale of a school district that brought together the community in the hopes of creating classrooms stocked with school supplies. Through English and Spanish lists, the Santa Fe district created a global sensation. Ferguson-Florissant School District, Berkeley, Mo. This is a knockabout witty portrayal of friendship between an amazing school district and an award-winning school communication team. Ferguson-Florissant partnered with Blackboard to create a communication portal that could easily relay back-to-school information and supply lists to families. It was an opening day hit: a story that you think is made up because it’s so perfect. Thompson School District, Loveland, Colo. This is a splashy tale of the Thompson School District bridging the gap between school borders to bring everyone together on one site with one goal: They want their students prepared for success this year. There are more than 6,000 parent fans of the lists! It seems everybody loves a good district Cinderella story. Often, the Best Costume Design category goes to the film that is a period piece with the swankiest costume choice. This year is no different. Parsons Elementary partnered with the designers at SchoolInfoApp to create a contemporary look and feel for their supply lists. Although the TeacherLists technology was in disguise, parents along with the paparazzi adored the lists’ new look and loved the ease of tracking them down via SchoolInfoApp. Rarely do they summon forth the kind of extraordinary swirl of giving, togetherness, and robust communication that is the partnership of Lacy Elementary and MemberHub, and they couldn’t have done it without the amazing cast of the Lacy Elementary PTA. The PTA made sure that every school parent had access to the supply lists, and the one-click shopping convenience that comes from the partnership between TeacherLists and MemberHub. Together they wove a tail of perfection in school communication and a year of success. Ouachita Parish School System, Monroe, La. The Academy’s Scientific and Technical Awards honor schools whose discoveries and innovations have contributed in significant and lasting ways to school-supply-list making. The award this year for Best Technology Alliance goes to Ouachita Parish School System. Simply put, the amazing lists we see at this school would not exist if not for the talent, knowledge, and creativity of the School Messenger team and the leaders at Ouachita Parish School.